After yesterday’s 8-2 drubbing of the Houston Astros, the Boston Red Sox are two wins away from advancing to their first World Series since 2013. They will try to take a commanding 3-1 series lead when Rick Porcello takes on Charlie Morton in game 4 of the American League Championship Series at Minute Maid Park. The Astros’ loss in Game 3 was only their second in their past 12 playoff games at home since the start of last season. Porcello has been huge in the postseason so far, both as a starter and reliever as he’s pitched to a 1.35 ERA in three games, allowing one run and five hits while striking out three batters and allowing no walks over 6.2 innings of work. In his only start this postseason, the right-hander held the Yankees to just one run through five innings en route to the win in Game 4 of the ALDS. This will be Morton’s first postseason start as he’s only thrown 15 innings since coming off the disabled list September 8. Morton was 15-3 in the regular season, pitching to 3.13 ERA and holding opposing hitters to a .233 batting average. 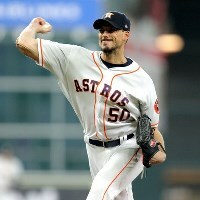 In 167 innings of work, Morton struck out 201 batters and walked 64. Morton was not needed during the Astros’ ALDS sweep of the Indians, but with the ALCS being a best-of-7 series, he’ll get the start for Game 4. If Morton struggles the Astros will need their bats to step up and produce some runs, which seems to be a bit of a problem for them right now. The Astros batting average in the ALCS is a woeful .194 and in three games they have struck out 25 times while scoring 14 runs and hitting just three homers. Right now, the Astros lineup is not living to their potential as they are not getting enough offensive production from their best sluggers. While the Astros lineup is underperforming the Red Sox have benefitted from getting some unexpected help from players such as Steve Pearce and Jackie Bradley Jr. in the bottom of the order, which doesn’t bode well for a pitcher that has not pitched since late September.